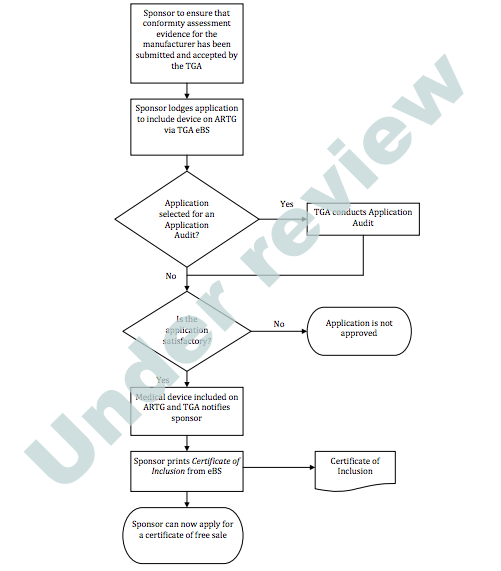 Sponsor obtains a copy of the manufacturer's evidence and submits it to the TGA for review. An Australian Declaration of Conformity must be submitted if requested. The TGA will review application. TGA may ask for more documents at this point, which the sponsor must submit in 20 working days. If approved by TGA listing will be included in the ARTG database on the TGA website.